Plus, the chain has opened a Lunar New Year-themed installation at L.A.’s Westfield Century City mall. On Thursday night, Panda Express started its Chinese New Year celebrations with a party for its "House of Good Fortune" installation at L.A.’s Westfield Century City mall. Andrea Cherng, Panda’s chief marketing officer, talked about how her family opened Pasadena’s Panda Inn more than 45 years ago and ended up creating a Chinese-American fast-casual chain that now has more than 2,200 locations. Then a panel, including actor Harry Shum Jr. of Crazy Rich Asians and Glee, discussed Chinese New Year, family, identity, and food. Following the panel, Cherng opened an installation that aims to put a different spin on Chinese New Year traditions. The interactive experience is pure Instagram bait, but it doesn’t focus on rainbows and glitter like the scourge of new food “museums” opening around the country. Reservations for the free "House of Good Fortune" installation, which runs from noon to 8 p.m. through February 5, are fully booked, but you can still try to walk in to catch a red envelope, pull “noodles” in the “room of longevity,” be the star of a lion dance, throw around giant mandarin-orange balls, and put a wish inside a lantern. That last part involves a lantern-festival room that might remind you of being inside a Yayoi Kusama exhibit. Even if you don’t manage to make your way inside the House of Good Fortune, you can still celebrate the Year of the Pig with Panda Express. 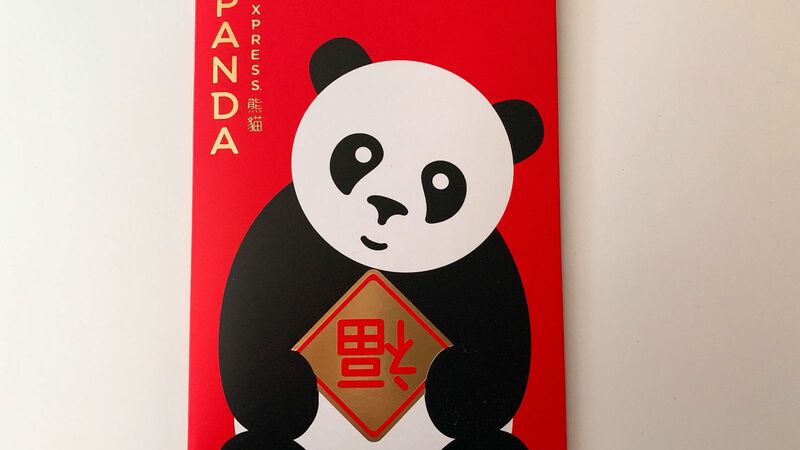 On February 5, customers will be given red envelopes to celebrate the official start of Chinese New Year. There won’t be any cash inside the envelope, unfortunately, but there will be coupons for a free chicken egg roll and a free Dr. Pepper. There will also be a fortune-teller game to answer questions about what the Year of the Pig might have in store for you. We also learned that the pleasantly mouth-numbing Sichuan hot chicken that Panda Express recently tested will return in a big way. The goal is to roll it out nationwide, says Cherng. Every year, Panda Express chefs visit provinces in China. They recently returned and are now spending a month dedicated to working on new dishes.